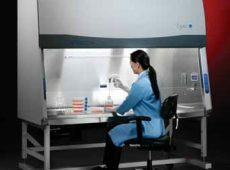 Purifier Logic+ Class II, Type A2 and Type B2 Biological Safety Cabinets provide personnel, product and environmental protection from hazardous particulates and agents that require Biosafety Level 1, 2 or 3 containment. 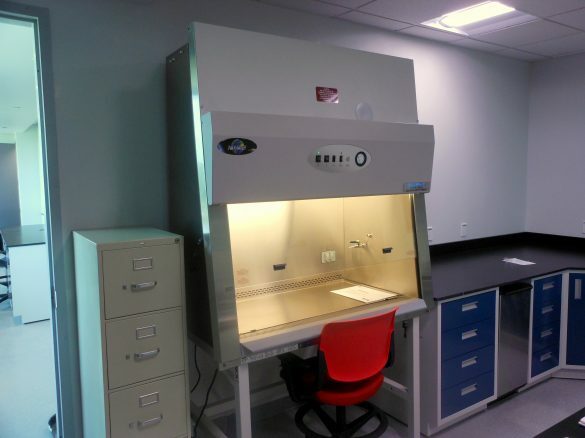 Purifier Cell Logic+ Type A2 and B2 biosafety cabinets have features specialized for cell research. The Purifier Axiom Class II, Type C1* is the first biological safety cabinet that can be used in a recirculating Type A-mode for standard microbiological work, or can be connected to an exhaust system to function in Type B-mode for handling hazardous chemical vapors or radionuclides. Purifier Class I and HEPA Filtered Enclosures provide personnel and environmental protection and are ideal for procedures that generate fine dust, handling suspicious mail, or weighing hazardous powders. They offer an economical alternative to Class II cabinets when applications do not require product protection. 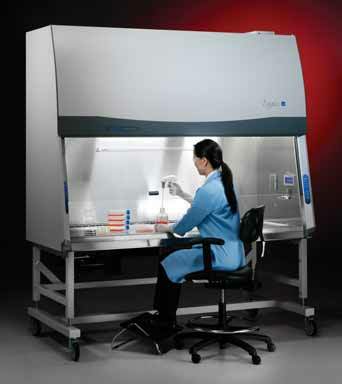 Labconco’s biosafety cabinets use >99.99% efficient HEPA filtration. Purifier Delta Series Biosafety Cabinets have been discontinued and replaced by the Purifier Logic+ Class II Biosafety Cabinets. *The new C1 designation is pending NSF approval. Should you need assistance with your laboratory Safety Cabinet, we are just a phone call away.